Pharmacy is all about the study of medicine, looking at how the drugs are created, the blend of chemicals, their chemistry and interactions which is required for a qualified pharmacist to know. Students who are interested in medicine but do not want to become a doctor can choose Pharmacy as an excellent alternative. A pharmacist can easily help in taking pressure off the emergency services and contribute to saving lives in different ways. Moreover, unlike a doctor, a pharmacist has the advantage of regular hours. In this way, as aspirant can contribute to helping people medically and also have a more structured lifestyle than medicine or nursing can offer. 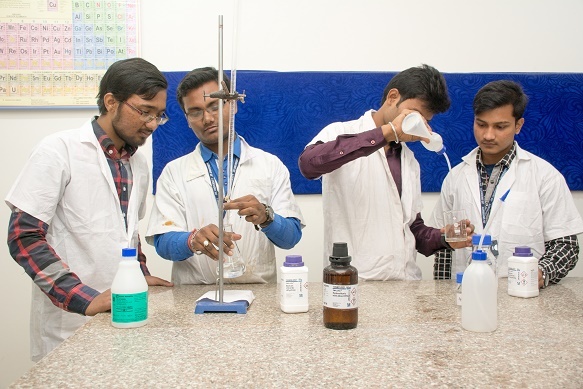 JIS University being the hub of best pharmacy colleges in Kolkata provides high-quality education to the aspirants who dream to become successful in their life. 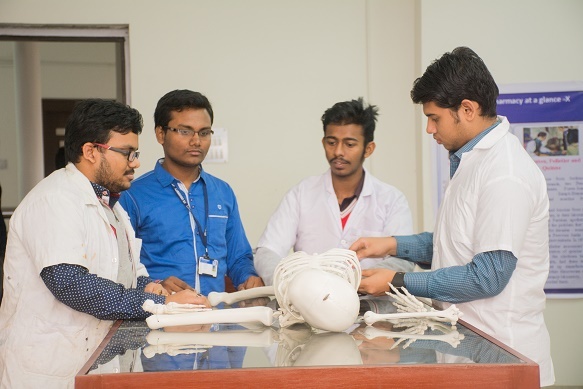 JIS University hosts some of the best B. Pharma colleges in Kolkata and D. Pharma colleges in Kolkata that provide world-class education with the help of highly qualified faculties. We inculcate the students with technical skills as well as subject-related information to ensure that they can easily find a job. 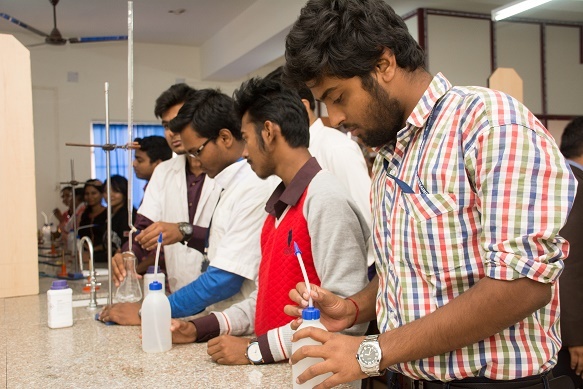 We provide the students with the best infrastructure, well-equipped labs, sports ground and everything they need to step towards a beautiful career. In this modern world, we help the pharmacist grow and find a suitable job for themselves. 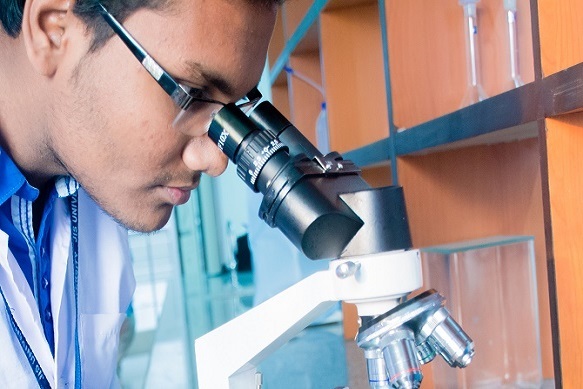 We have the best private pharmacy colleges in Kolkata that provide excellent opportunities to gain latest education and get placement in the top companies all over India and abroad. Students passing out from the JIS University can easily find suitable jobs as they are equipped with industry oriented skills that make them highly employable. After the completion of course, the students are helped by the University’s placement cell to get jobs in the top companies in India and abroad. Eligibility: Passed 10+2 Examination with Physics, Chemistry as compulsory subjects and Biology or Mathematics as 3rd subject. 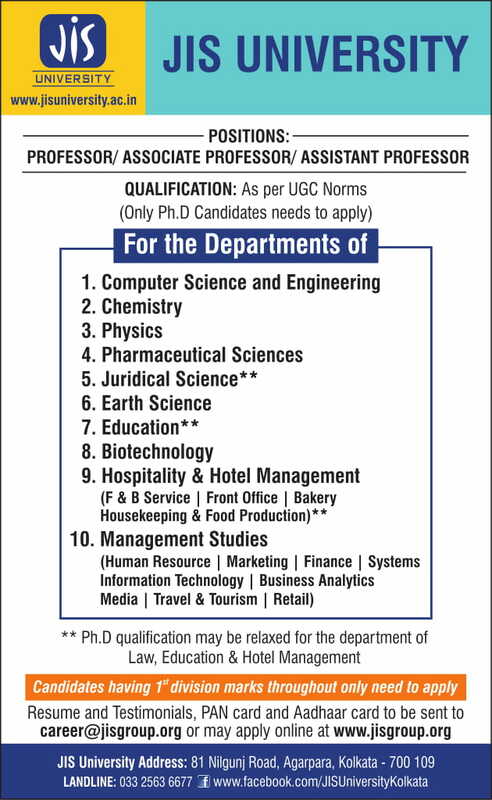 Eligibility: Students having B.Sc (All streams of Life Science), D.Pharm, B.Pharm, M.Pharm, B.Pharm (Ayur), MBBS / MD/ BDS / MDS / Nursing / BHMS / BVSc / BPT / Diploma in Paramedical Courses / Allied fields. The Department of Pharmaceutical technology, JIS University situated in calm, peaceful and pollution free environment best suited to academic pursuit. All basic amenities like drinking water, electricity, power back-up, and internet facilities have been provided to the students. 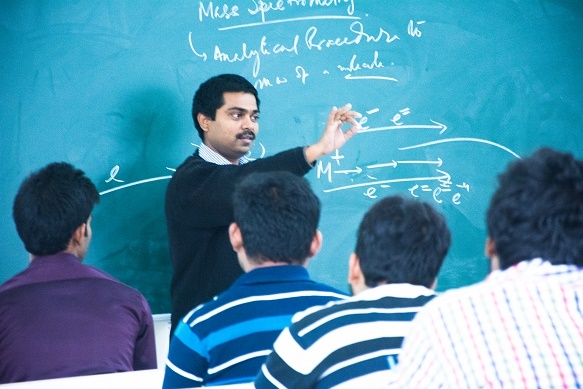 The academic floors (presently 3rd and 4th Floor) of Pharmacy department has the fully developed Infrastructure representing spacious lecture halls, tutorial rooms, administrative office, seminar hall, library, computer lab and other pharmaceutical laboratories. Museum: Museum of the Pharmacy department is facilitated with all kinds of educative Anatomical Models, Specimens, and Photographs etc. It also provides information about herbal drugs by housing Herbarium, Specimens, Photographs, and Samples etc. The language and computer laboratories are well equipped with sufficient number of computers with the latest configuration. Library: The Pharmacy department has an excellent Library and Information Center, one of the central support services of the institution, which acts as a primary source for information seekers. The library has been carefully designed to maximize natural lighting to the users and provide a comfortable seating and reading environment. The library is well equipped with modem facilities and resources in the form of CD-ROMs online database, books, National & International journals. Our departmental library harbors 15 International and national journals. Over 2000 Volumes of book bearing more than 250 titles belongs to various core subjects of Pharmaceutical sciences. Canteen: JIS University is having a tidy and hygienic canteen which is important for student's health. The canteen is having a spacious sitting place and decorated walls. It is a right place for refreshments and to relax the budding intellectuals. Hostel Facilities: Separate hostel facilities for boys and girls are provided for the students. Industry-Academia Outreach: JIS University has a strong Training and Placement cell which organizes Industrial Training, Industrial Tours and Industrial Visits in addition to proper placement for the aspiring students at appropriate level of study. The department of Pharmaceutical Technology is also providing training facility for the students pursuing B. Pharm. Special Module focused to develop interview skills. Achievements and Activities: The department of Pharmaceutical Technology regularly invites renowned guest speakers from industry and academia to boost the students regarding recent development in the core areas of research and development. Pharmacy is the branch of science that links the health science with the chemical science, and it is well concerned with the discovery, development, production, and distribution of drugs. Pharmacists are the medication experts on the health care team, offering information and advice to help patients successfully manage their medication therapy with minimum side effects. Pharmacists have the knowl¬edge, skills and expertise to be trusted with a patient's health. Pharmacists are among the most accessible health care professionals. The JIS University is planning to start PhD program in pharmacy like other departments, accordingly laboratories are modernized to make it ready for conducting research and projects. 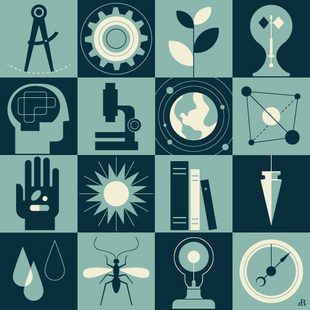 The department is planning to apply for different projects to the funding agencies so that vibrant research activities can be developed in the department. The department has already 8 publications in different journals of repute to the credit of its faculty members.